Charles Koch is a co-owner, chairman, and CEO of Koch Industries. And he’s been doing this since 1967. He’s 83 years old and according to Forbes, he is considered to be the eighth richest person in the world. However, apart from being the “top 10 wealthiest”, he is also listed in another, unspoken, list. It could be called “the most hated” list. You could think what’s wrong with this list? 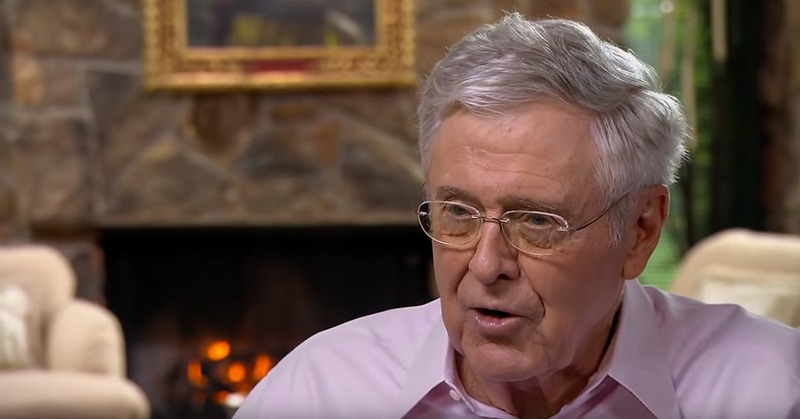 Why do so many people hate Charles Koch? Competition is cruel, and Charles knows this. Nevertheless, his life and political rivalry remind us of an intelligent war for ideas. And he knows for sure – an underdog would be defeated and destroyed. And this is how he lives. He is an exemplary, risky, uncompromising businessman, a good conversationalist, and an active person who can anticipate high-risk situations. Moreover, he is never afraid to offer his point of view, which rarely coincides with the majority opinion. After graduation, the future billionaire worked in a small consultancy firm, but it took one year to realize that it was not worth his time. Therefore, he came back to his native city to carry out his father’s work. In 1967 he headed the family company. Skeptics may say: «It is not that hard to become a millionaire/billionaire having inherited his father’s business». 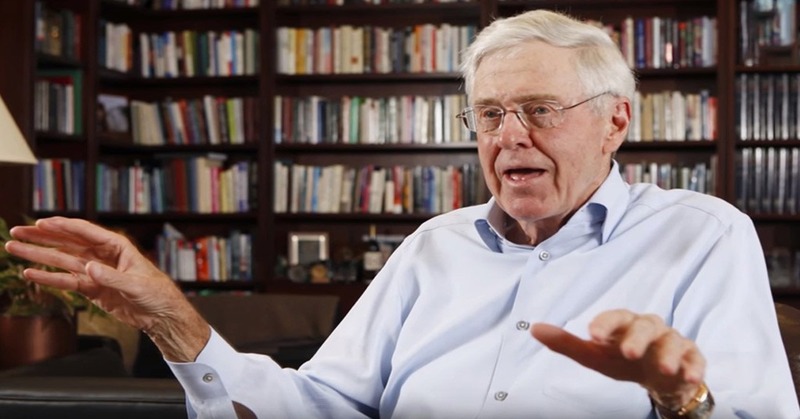 On the one hand, it sounds reasonable, but on the other, a key indicator of success is that they (Charles and his brother) expanded the ordinary oil refinery Rock Island Oil & Refining Company to Koch Industries, which is one of the largest corporations in the world. Furthermore, they increased profits by a factor of 2600! 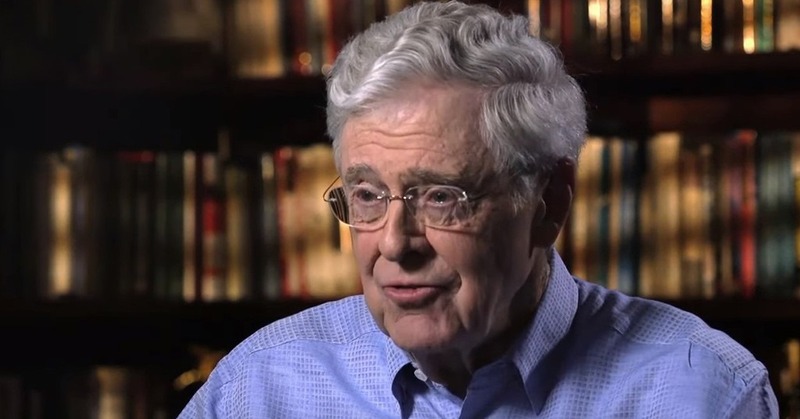 Nowadays, Koch Industries is one of the biggest companies in the world, with the second biggest revenue in the US. However, Charles does not plan to go public and says that this will not happen while he is alive. In 1980 Charles and David became the company’s owners (42% for each of them) since they bought the shares of their brothers, William and Frederick. Family strife and a string of litigation lasted for more than ten years. Nevertheless, David and Charles were able to withstand and thrive. In 2004 they purchased two pulp and paper mills. Even though the stock gradually depreciated, Charles did not seek to get rid of them. Spoiler – he was right, in fact, as always. The Georgia-Pacific acquisition in 2005 was the right step too. 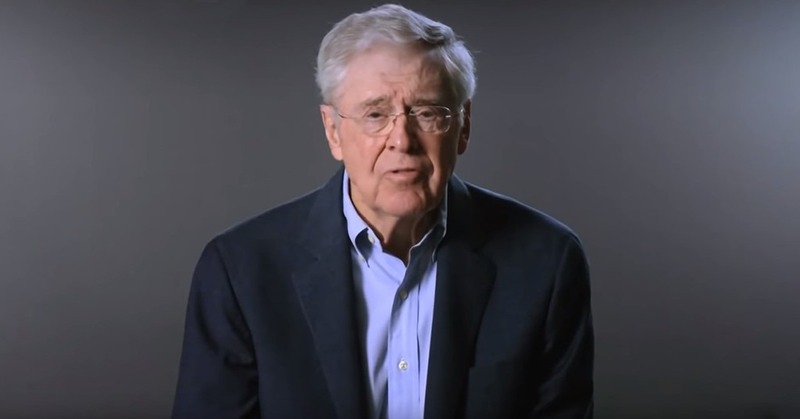 Koch calls “Market-Based Management” the main success secret of their corporation. In brief, Charles puts into the head of every manager, the idea that a manager is an owner/in charge of the direction (department) they are working in. Thus, he teaches them how to manage right, and how to be responsible for their decisions and solutions. This is how the «Market-Based Management» strategy allows Charles Koch to control more than 60 000 employees. There is no wage grid in the company. 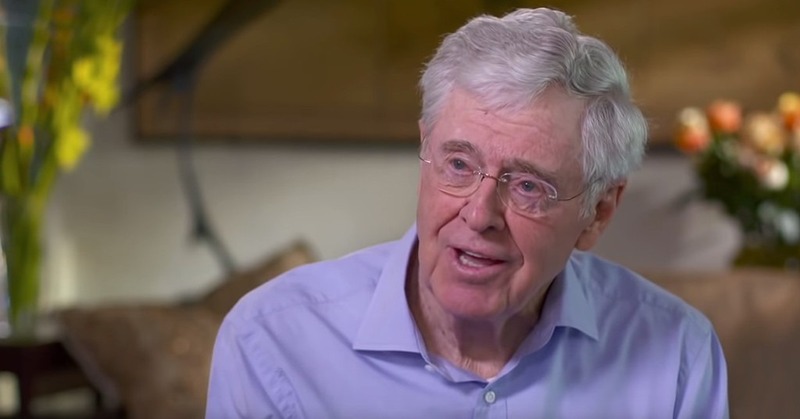 The current Koch Industries owner says: «We take into consideration the revenue that was earned by an employee and only after this do we form salary and bonuses». Therefore, salary is not limited, and any worker is able to make more money than he/she does now. 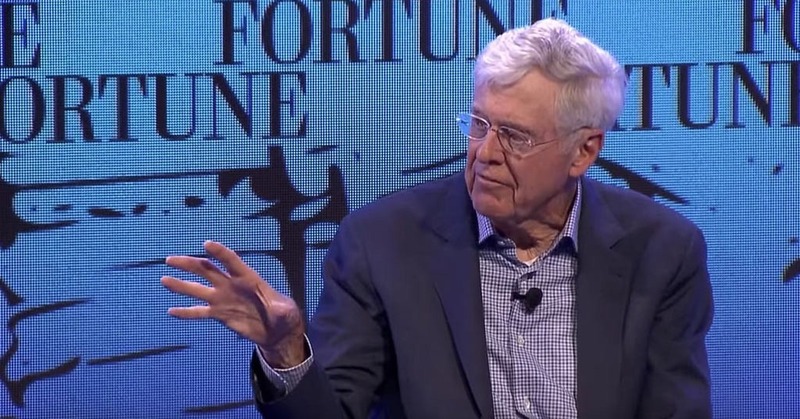 Charles Koch believes that any company needs to have a vision of where it wants to go. That seems too evident, but everything is not as easy as it seems at first sight. Charles is known for his long-term thinking. For example, when Charles Koch took over the company he charted an aim for how large the company should be when he retired, as measured by earnings. The firm is now 70 times that big. One of the wealthiest businessmen is convinced that strict and complicated rules would bring the best results. He thinks that hiring people with the right personal values is much better than setting strict rules. We’re hiring a lot of hard-working Midwestern kids from farming towns who don’t think they’re entitled to a paycheck just for showing up. And if you want to work for Koch you should know that there is no chance of lasting long at Koch if you don’t fit in with their culture. Charles is continually learning about his rivals and customers. However, he believes that it is also essential to share this knowledge.